(August 2008) RILINK received a $5,000 grant from the Rhode Island Foundation to provide relevant, valuable and accessible information resources to students who are reading below grade level and to students whose first language is not English. With this grant and funds from its own operating budget, RILINK is participating in a collaborative effort to make these resources available statewide, to everyone who needs them, adults included. Working with the Office of Library and Information Services, the Statewide Reference Resource Center at the Providence Public Library, Ocean State Libraries, the Higher Education Library Network, WorldBook Online's Discover resource is now available on the web at www.worldbookonline.com (scroll to the bottom of the page to find the link to Discover), to anyone in Rhode Island - at their home, school, or local library. No username or password needed! Discover offers reference articles, text-to-speech capabilities, learning and life skills activities, research tools, multimedia, and interactive video. (June 2008) RILINK chose Barbara Ashby, who is retiring as a School Library Media Specialist at the George J. West School in Providence, as its new Member Services Librarian. Barbara is a strong advocate for school libraries both locally in Providence and statewide through her participation in RIEMA. She has experience working with Follett Destiny as an administrator, and has counseled and trained other Providence librarians in using Destiny. 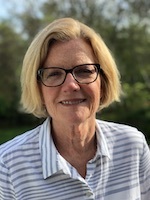 Barbara also has considerable experience in promoting and setting up professional development, as she was responsible for developing and facilitating professional development workshops for Library Media Specialists in Providence. She has also written and administered a number of grants, both large and small. Congratulations to us ! Barbara will start her work with RILINK in August. Picturing America is a project of the We the People program of the National Endowment for the Humanities and the American Library Association. Grants consist of a collection of large-scale laminated reproductions (20 double-sided laminated posters, 24 x 26 inches) depicting works of American art, as well as other educational resources on American art and history. Also included are reading lists, and a 125-page resource book. Items will be shipped directly to each school in September. (June 2008) Welcome to five new elementary school library members ! Primrose Hill School, Nayatt School, Hampden Meadows School, and Sowams Elementary School in Barrington are moving to Destiny from the Follett standalone system, and the Centredale School Library in North Providence is using Destiny to automate their library. RILINK now has 96 members, with 91 libraries (soon to be 95) on our shared RICAT/Destiny library system. (March 2008) Welcome to our newest RILINK and RICAT member - The Court House Library in Bristol, serving the Byfield and Reynolds elementary schools. (January 2008) RILINK has received a $40,000 LSTA subgrant through the Office of Library and Information Services, which is paying the cost of our group subscription to World Book Online (see next news item). The grant will also provide funding for at least three additional libraries to join RILINK.